The second trailer for the upcoming video-game adaptation of Assassin’s Creed has been released, featuring new footage and more death-defying action. The new trailer also gives a look at more of the film’s plot, which appears to be sticking pretty close to the source material. This second trailer instills some extra confidence in me that the film will actually turn out decent, and not succumb to the dreaded video-game movie curse. With Fassbender leading the cast that also includes Marion Cotillard, Jeremy Irons and Michael Kenneth Williams, and Australian director Justin Kurzel helming the project, the film seems worthy of a viewing just on those credentials alone. Kurzel has been extremely impressive in his career to date, with his first film Snowtown and second film Macbeth (see my review here) both being critical successes, and both outstanding films. Based on this latest trailer, it also definitely looks like the filmmakers have nailed the tone, keeping it grounded and using as many practical effects as possible, which will make a huge difference. We’ll find out soon enough, as the film releases on 26 December 2016 in Australia. 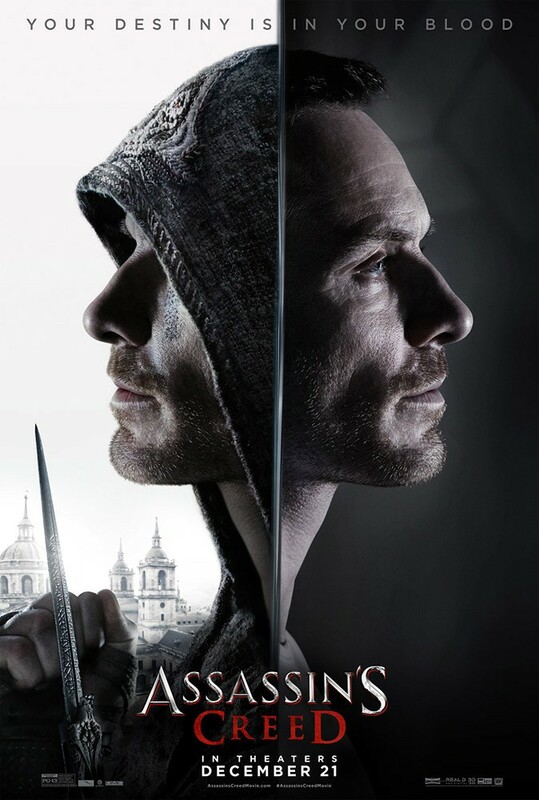 Along with the new trailer, a new poster for Assassin’s creed was also released, which you can see below.